Sergio Marchionne is always surprising. Yesterday, at the annual meeting of ACEA, European auto association, in Madrid, he said there will be a reduction on capital expenditure about 500 million euros for Fiat Group Automobiles in Europe. The reasons he has are the bad situation of European economy that according to him will last for more years than expected, the future of the continent, and over capacity problems. Marchionne is now focusing more outside of Europe as a strategy to depend less on Europe’s troubled market and therefore the investments of the group, which according to him has cash enough, are going abroad: China, Russia, India, Brazil and the US. 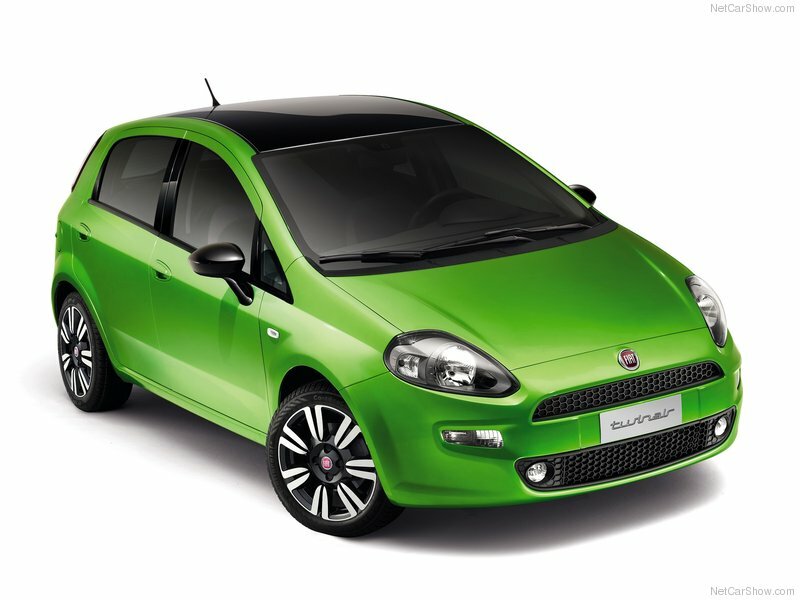 This cut affects the introduction of new generation Punto which was expected for beginning 2013 and has been Fiat’s best selling model for years. Regarding this issue and possible alliances Marchionne pointed “with several people, and in some cases our architectures, including the one for the Punto, are involved in the talks”. Meanwhile he said there is enough cash to continue to increase its stake in Chrysler from 58.5% they have now up to 61.8% paying 200 million euros. For the rest Marchionne said there are no conversations with the other owners of the company. These are certainly bad news for Fiat’s clients who are waiting for new models as the current range begins to look old. In the last 2 years Fiat Group Automobiles has launched 2 all-new models (Lancia Ypsilon and Fiat Panda), 4 rebadged cars (Lancia Thema, Voyager, Flavia and Fiat Freemont) and 2 concepts (Alfa Romeo 4C and Fiat 500 Zagato), while is expected the arrival of Fiat 500L and later the Alfa Romeo MiTo 5 doors, Giulietta SW and new Maserati Quattroporte. In one hand he is saying Fiat has enough money to buy Chrysler and in the other one he says no more money for Fiat models in Europe. There might be good reasons for this decision, but it is without any doubt a very risky one. Fiat is not the only one facing problems in Europe. French and Germans are also dealing with over capacity problems, sales drop and very bad perspectives for coming months. Eventhough Renault will introduce its new Clio in Paris/12, Peugeot has done the same with its 208 in Geneva/12. Opel will propose the new A-segment Adam in Paris/12, and Ford will show the new Mondeo also. Mainstream brands are moving. Fiat’s decision is to delay launches waiting for better times. It can save money but it can be very very harmful for future sales as people will move to other brands if they can’t find new models. And this bad scenario works even more when talking about Fiat’s best selling car in Europe, the Punto. B-Segment is Europe’s largest segment and Fiat should not compromise the future of this core product just because things are not as planned. The delay strategy can work with other segments in which Fiat is not strong (C, D, and so on), but in those small segments, where Fiat is known for doing the best cars, they can not hesitate. Instead they should develop more versions of future Punto, and not only 3 and 5 doors. The future will show how good this idea is. I agree almost totally with you. But there is something you probably missed. The strategy to look mostly outside Europe in this period, facing the ongoing crisis, could be self-defeating for Fiat “Europe” while being quite positive for Fiat “World”. Every car sold in Europe means a net income loss. Paradoxically, moving capital expenditure outside Europe would mean, in terms of profitability, a considerable adavantage for the global health status of Fiat. That’s why, according to business management theory, this strategy would represent a win rather than an insane defiance. This while the other mainstream brands seem to react carrying on what they have previously planned – well, Renault for example doesen’t even have markets other than Europe on which bet. Does the game worth the candle? Good point. I agree. At the end it’s a matter of globalization. Fiat is now more global and wants to depend less on European market, which is good. But Europe is and will be an important part of its global sales. Therefore they can not keep delaying the new cars, especially the ones that are really strong like the Punto. Sometimes you need to loose money to gain market, otherwise you won’t earn money ever. Sure, Europe should be the most important part of the Fiat empire but in this period it’s suffering and has to deal with an overproduction issue. How to fix it it’s not clear and easy though. Marchionne said: “E’ vero Fiat ha deciso di rallentare il lancio dei nuovi modelli per la scarsità della domanda in Europa. Ma è altrettanto noto che molti altri concorrenti fanno il contrario, come Peugeot-Citroen, Opel, Renault e Ford perdono soldi nel Vecchio Continente”. That sounds like: Fiat delayed the new models because of the lack of demand in Europe. But it’s equally true that our competitors are acting in the opposite way losing money. I partially agree with this statement for the reason that, as you mentioned, if you lose too much market share saving money you probably won’t be anymore able to regain those shares when (and if) the crisis will be overtaken. Hope Sergio won’t “miss the boat”. Marchionne c’è la fa. Thanks for your comment. Keep reading my blog. In these days I am pretty busy with exams but I will continue posting. Ciao! IMHO it isn’t a clever strategy. You could save cash in the very short term, but in the future you will have to invest a lot of money for rebuilding FIAT’s brand in Europe. Yes, or be forced to give up on Europe entirely. It’s extremely risky, and I personally think it’ll end in tears.